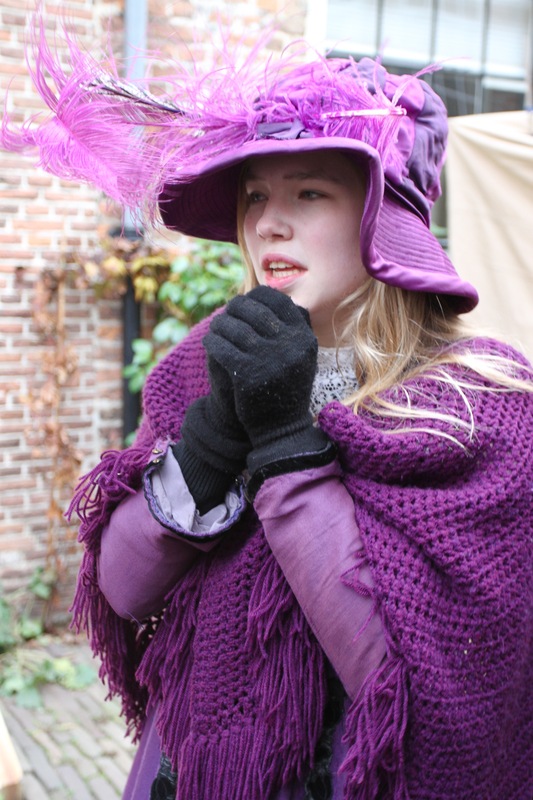 Every year, over a weekend in December, the historic Dutch town of Deventer plays host one of the more unusual events the Netherlands has to offer. The medieval centre of this lovely old town is transformed into the 19th century world of Charles Dickens. 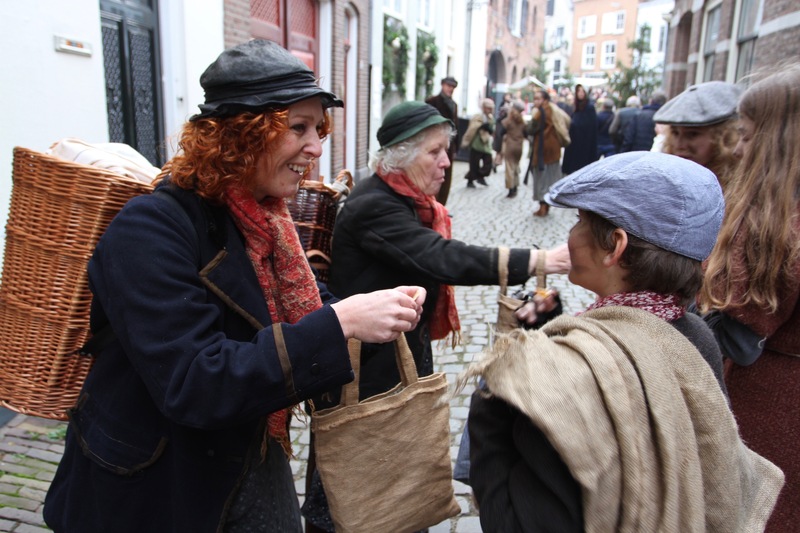 The novels and characters Dickens is so famous for, are brought to life by over nine hundred of Deventer’s inhabitants, who parade through the streets reenacting scenes from the novels dressed in period costume. This little slice of Victoriana is a lot of fun. Now in its 26th year, it attracts more and more people every year. 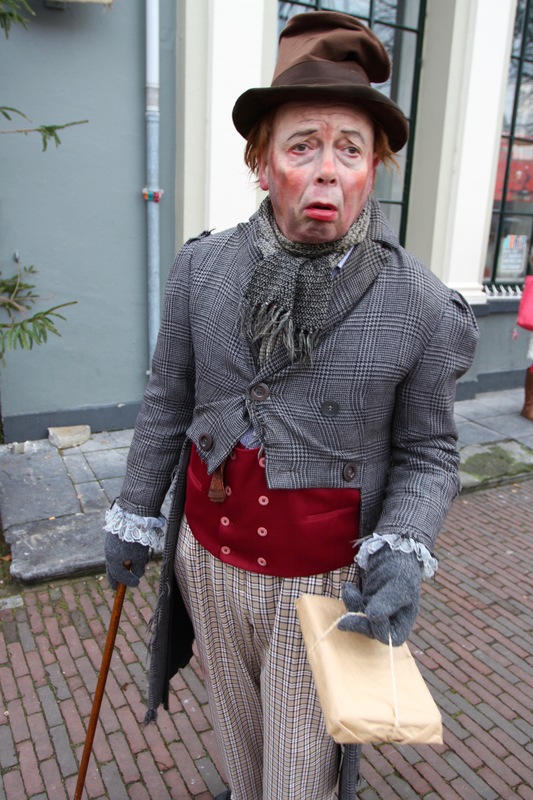 Deventer is home to around 100,000 people, and over the Dickens Festival weekend the population more than doubles. Around 140,000 people are estimated to have visited this year. That makes for a bit of a crush in the narrow streets, and makes getting there early worthwhile. The route through the streets is flanked by stalls selling glühwein, wintery food like roasted chestnuts, and Dickensian souvenirs alongside more ‘traditional’ retail opportunities. As you wander along cobbled streets, scenes from Dickensian life unfold before you; or, in the case of the half dozen people cycling around on Victorian bicycles, hurtles at you in a homicidal manner. Victorian couples promenade through the streets, wishing each other a “Merry Christmas”; bands of chimney sweeps and Oliver Twist-style pickpockets roam around trying to extract money from people; troops of school children parade through the crowds with their fearsome looking teachers; choirs gather near the church to sing carols; parents push period perambulators down cobbled lanes; and street urchins sit in doorways looking woeful. It all adds up to one of the most unique and entertaining Christmas fairs I’ve visited. It’s certainly a big improvement on the majority of fairs, which seem to be inspired only by commercialism. What makes it so special is that everyone in costume is a local resident. You regularly see people emerging from their houses in full Dickensian dress, or popping home after a circuit of the festival streets. 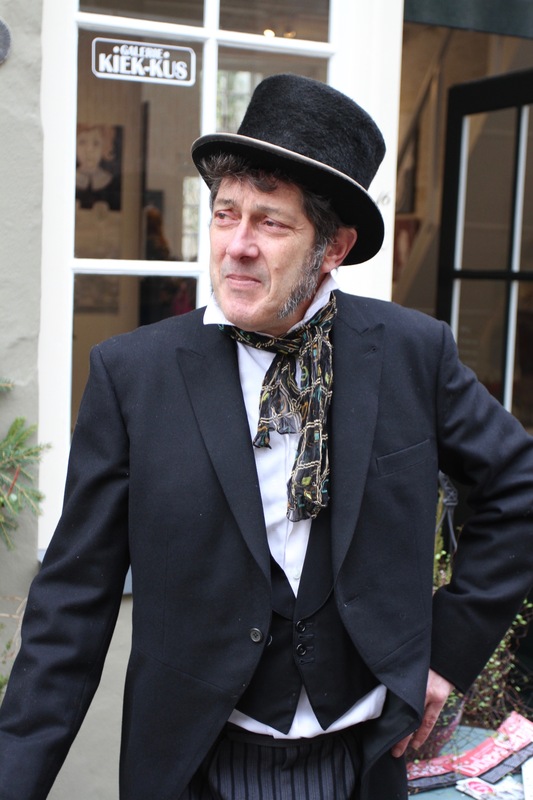 While a lot of people simply parade through the streets as generic Victorians, some are easily identifiable as Dickensian characters. Many of these perform scenes from the novels throughout the streets. 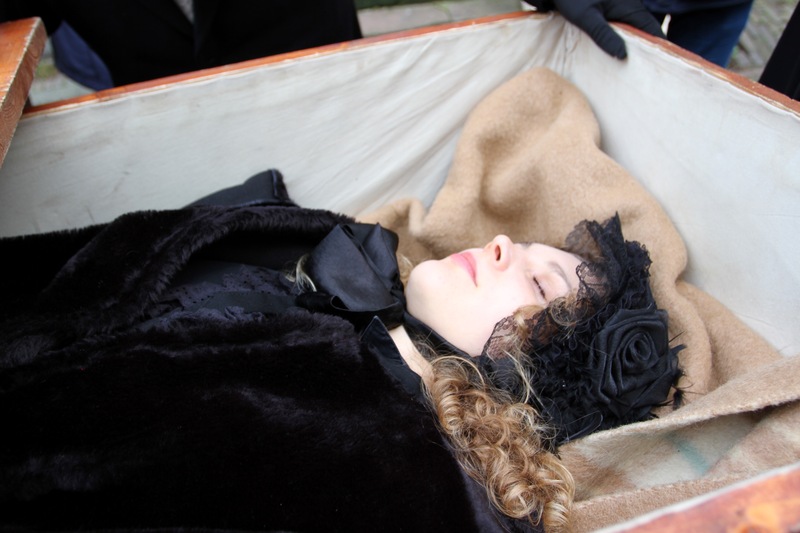 One of these mobile plays is the funeral of Little Nell. 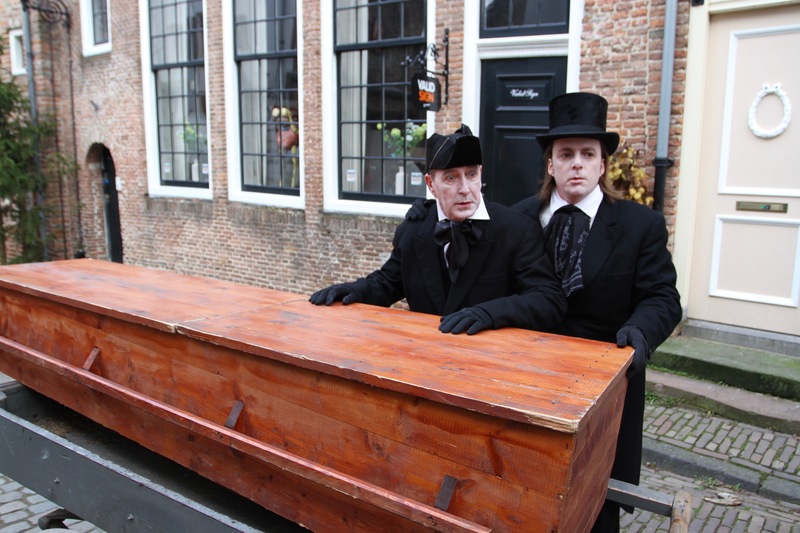 I kept coming across the funeral cortege, pushing a coffin while the mourners wail and cry. Every so often they stop, open the coffin and reveal the ‘body’ inside. Elsewhere, chimney sweeps run through the lanes, soot-covered faces and brushes in hand, or can be spotted on rooftops. The ghosts of Christmases Past, Present and Future walk silently through the streets. 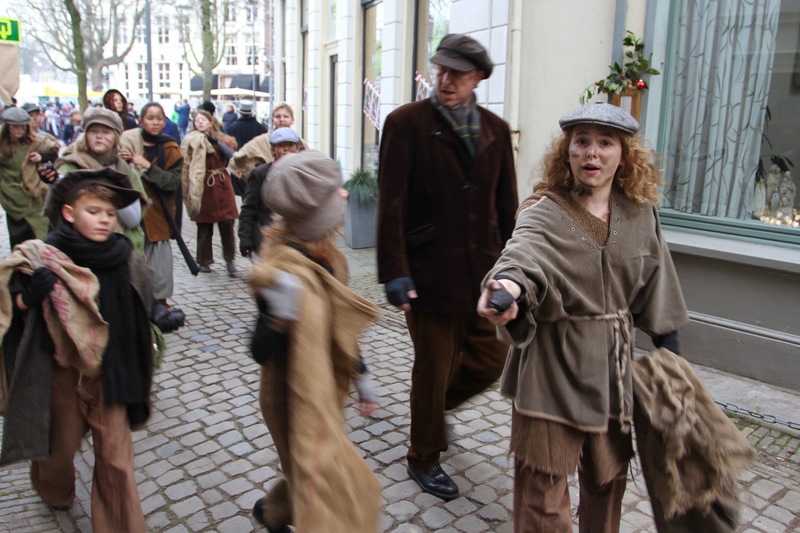 The Artful Dodger and his gang lurk amongst the crowds. Queen Victoria makes an appearance flanked by British soldiers in their red uniforms. A shepherd herds a flock of sheep through the streets – the sheep ate the Xmas trees. It all makes quite an impression. Thanks, it’s a really fun event to go to. Absolutely love it. It is extraordinary to maintain those traditions. To keep uo the memories of “when” and where we come from. Funny that it should be the Dutch to perform such a festival. You had already posted one last year hadn’t you? It was two years ago when I last went. I thought it would be good to visit again, especially after going to the ‘Royal’ Xmas Fair in The Hague, which was just a retail opportunity dressed festively. 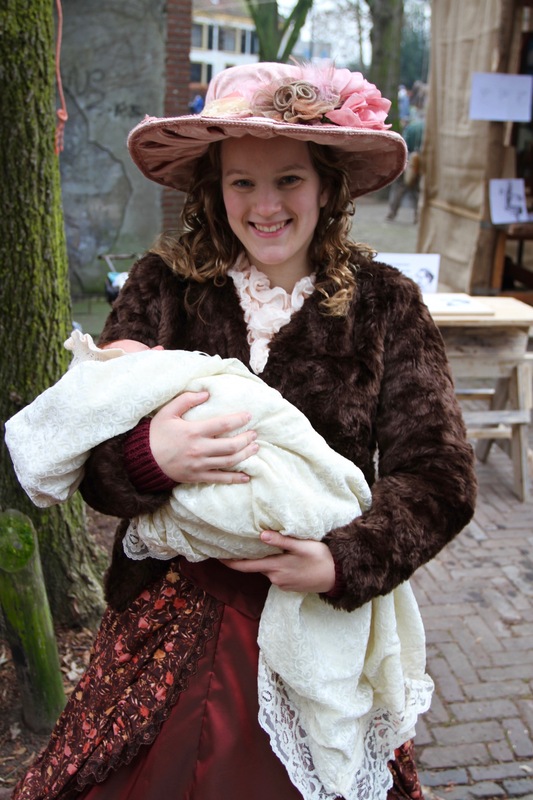 There seemed to be a lot more people this year at the Dickens Festival, but it was still a lot of fun.